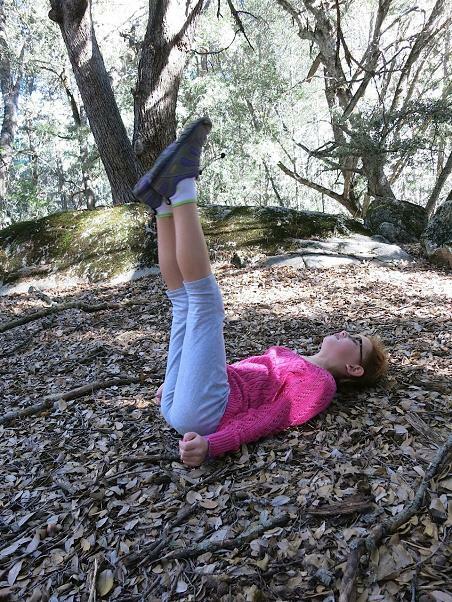 One of my favorite ways to engage kids of all ages in a yoga practice is to take an imaginary field trip. They especially love to “visit” places that are familiar to them, or in their neighborhood. Since so many yoga poses are based in nature and the world around us, it’s easy to put together a fun sequence based on a specific location. Consider natural locations in your area like canyons, beaches, mountains, or forests. Imagine all you’d see, hear, and feel if you walked through those spaces, and then find yoga poses to represent those experiences. As the winter holidays approach, you may want to incorporate some related themes into your yoga classes or at home. During winter, our energy naturally wanes. By practicing winter-aware yoga at this time of year, you can simultaneously honor the natural rhythm of the season and maintain your essential vitality. Enhance a personal connection to the repose of the season by choosing introspective meditation themes and focusing on breathing techniques. Conversely, use yoga movement to create warmth and energy within to counteract the cold of the season. Yoga also improves circulation and mood, which can diminish during the colder, shorter days of winter. Climb into your cars and trucks, and sit down into your CHAIR pose. Put the key in, and start your engines. (If you have a large enough space, “drive” around the room.) Use your steering wheels, gas and brake pedals (and even your horns if you’re in a place where you can make some noise). Check out the MOON tonight! Is it a crescent, half, or full moon? (Have the kids stand and lean to one side, then the other, to create a curved moon shape. They can also work with a partner to make a full moon. If you have an advanced group, you could incorporate HALF MOON POSE.) Do you know that we get fewer hours of daylight during winter? The shortest day of the year is called Winter Solstice. What else is glowing in the dark night? Look, a CANDLE in the window! (I recommend doing a modified candle pose. Either stand tall with arms up, or lie on your back with legs in the air. But with most beginners, I wouldn’t go all the way into the shoulder-stand version of this pose.) There are so many winter celebrations. People of the Jewish faith light the menorah during Hanukkah, and candles are also used in Kwanzaa celebrations. There’s a BRIDGE up ahead! Let’s cross it. Make a strong bridge… we need a bridge that can handle all these people driving to the tree farm! I just noticed that there is a lake under this bridge. Did you see the FISH jumping? Speaking of fish and winter celebrations, did you know that people celebrate Chinese New Year by eating a special fish dinner? We made it! Now what do we see? Okay, time to get to work. Time to climb back into our cars and drive this perfect tree back home. Sit down into your CHAIRS again, and let’s go! Now that we’re back at home, there’s only one thing left to do. Sit down into EASY POSE and enjoy the amazing beauty of nature right in the comfort of your very own home. Let’s just sit, and breathe, and enjoy the inner peace that comes from spending time in and with nature. 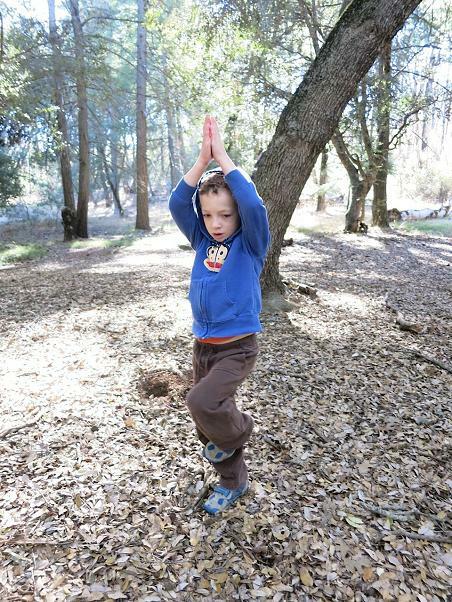 What other yoga poses would you add to your pretend trip to the Christmas Tree Farm?